Outdoor enthusiast, and Japan travel expert, Kester explores the beautiful island of Yakushima, encountering monkeys, mountains and tangled forests along the way. The island of Yakushima is located down in the south of Japan, a few miles off the coast of Kyushu. It’s widely known throughout the country for gnarled, ancient forests and abundant wildlife, while outside Japan it is most famous as the inspiration for the landscapes in Studio Ghibli’s Princess Mononoke. It’s accessible by air from several mainland cities, as well as by ferry from Kyushu, and with just three nights on Yakushima you can experience great hiking, lots of wildlife and incredible scenery. I finally had the chance to visit during my recent trip to Japan. Yakushima is exponentially more enjoyable if you rent a car. Unlike the rest of Japan, buses on the island are infrequent and not that useful; taxis are also a rarity. On the other hand, renting a car gives you the freedom to explore at your own pace. The island only has three main roads, all in excellent condition with plenty of English language signage, so there’s no chance of getting lost. Three nights on the island will give you two full days to explore with a plethora of options. On my first day I visited Shiratani Unsui Gorge Park to hike to Taikoiwa. This outcrop of rock offers incredible views across the interior of the island and the hike takes you through some of the most ancient and moss-covered sections of the forest. I highly recommend doing this in the early morning when other hikers are scarce, and the dew gives the forest a truly ethereal feel. I set off around 8am. Getting up to Taikoiwa rock and back takes around four hours at a leisurely pace, and the going varies from easy to medium. Good hiking boots are a must for uneven ground that’s often covered in roots and rocks. Not only is the view from the top exceptional, it’s also a great chance to see wildlife. Hundreds of monkeys live in the forests here, as well as small deer. I stood less than five metres from a group of monkeys for over ten minutes, watching them relax in the morning sun, not paying an ounce of attention to me. Descending from the rock I saw a real increase in the number of people coming up the trail, which makes me think it would be less enjoyable later in the day. By getting this done in the morning you now also have the afternoon free to explore the rest of the island. Yakushima takes around four and a half hours to circumnavigate by car, with a mix of beautiful sandy beaches and dramatic cliffs. You do occasionally need to beep your horn to move reluctant monkeys out of the road! This will have you back at your accommodation in good time for a delicious and well-deserved dinner. On my second full day on the island I took on a real challenge: Miyanouradake, the highest point in southern Japan. It’s an eight- to ten-hour round trip from the trailhead and back, which is an hour drive from the main road. But if you’re up for a real hike in stunning scenery then it’s incredible. I set off well before dawn at 5.30am and drove up to the trailhead, walking the first 30 minutes with a headtorch showing the way. The trail follows well-maintained paths through forest and winds along steep ridges. As you climb over the course of the day you pass through ever sparser woods, which are slowly replaced with hardier scrub and bare rock. Some sections of the walk pass over boardwalks assembled over marshland, up stony ravines and at several points involve pulling yourself up ropes attached to the rock. Eventually as you near the peak you are surrounded by waist-high grasses where the scenery opens to look like something from Middle Earth. The peak of Miyanouradake is an unbeatable spot for lunch as far as views go. After a rest and a filling lunch, follow the same track back down the mountain. 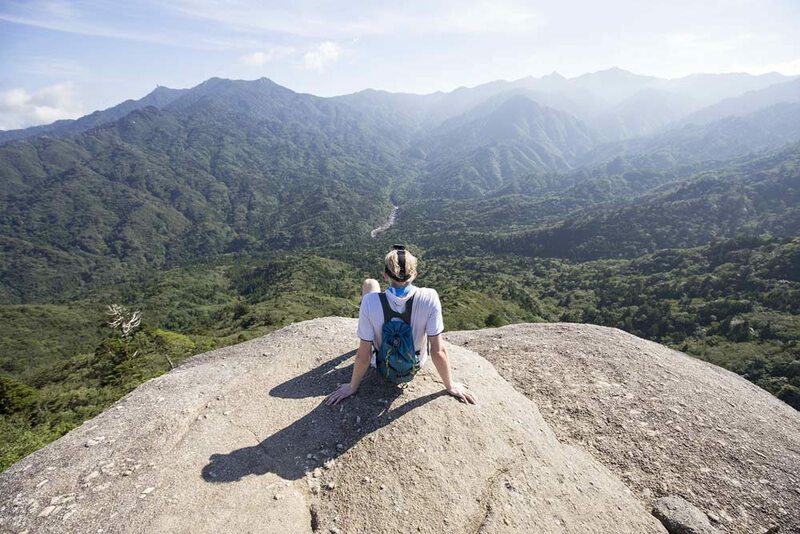 Whilst Japan has many great destinations for hiking, with wildlife, hiking opportunities and incredible scenery Yakushima offers something really special in a small package. With a car and a few nights at your disposal, it really is one of the best places to visit in Japan. Go off the beaten track in Kyushu, taking time to explore Yakushima’s fairy-tale landscapes on our Kyushu Elements Small Group Tour or Kyushu Adventure self-guided trip. 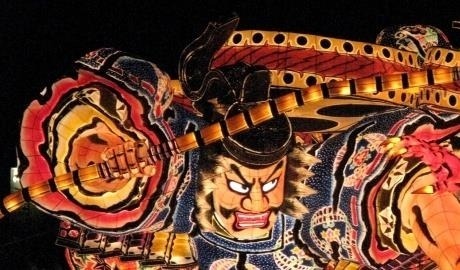 Alternatively, contact our Japan travel experts to plot your own route.